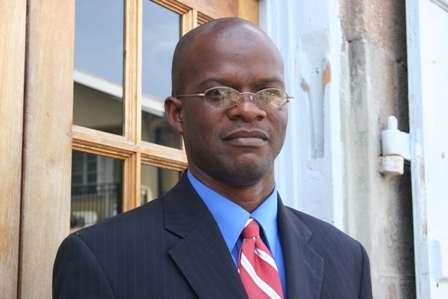 NIA-CHARLESTOWN NEVIS (March 25, 2011) — Attorney General for St. Kitts and Nevis Hon. Patrice Nisbett said the Federal Government appreciated the value of intellectual property law in the social, economic and political development of St. Kitts and Nevis why the Federation became a member of the World Intellectual property Organisation. The Minister’s comment came when he addressed participants at the official opening of a two day workshop on Copyright and Collective Management at the Marriot Hotel on Thursday. The event which was held in conjunction with the Intellectual Property Organization (WIPO) brought together a number of local artists. Mr. Nisbett explained that since the Federation held membership in the international organisation it had complied with the various WIPO Conventions and Protocols and as a result had benefitted from technical assistance in its development cooperation programme. “This assistance included assisting us in equipping our Intellectual Property Office (IPO), training of staff of the Registry and organising awareness seminars. Indeed today’s occasion is part of that assistance,” he said. The Federal Minister said the IPO had been set up to ensure that intellectual property rights were well protected so that the nation could benefit from the creativity and innovation of its people. The IPO is currently housed at the Judicial and Legal Complex in Basseterre and the office is managed by the Registrar of the High Court. However, plans are afoot to find a new home for the facility so that it could be easily identified by the public. A Registrar for the office will also be appointed. According to Mr. Nisbett, the Federal Government has also embarked on putting in place an appropriate legal framework which would offer the necessary protection to intellectual property rights and According to Mr. Nisbett some legislation regarding the protection of intellectual property had already been drafted and legislated with the assistance of WIPO. So far, the Copyright Act, Cap. 18.08, the Patents Act, the Marks, Collective and Trade Names Act, Cap. 18.22, the Geographical Indications Act, No. 6 of 2007 and the Protection of layout-Designs (Topographies) Integrated Circuit Act, No. 19 of 2007 have found their way on the Federation’s statute books.